Roger Eric Anderson died Thursday, January 10, 2019 at Day Kimball Hospital surrounded by family at the age of 76. He was the husband of Marilla (Senior) Anderson, with whom he enjoyed 48 years of marriage. Born in Waterbury, CT April 19, 1942, Roger was the son of the late Eric Gunnar and Marie Lundquist Anderson, both Swedish immigrants who made a home in Naugatuck, CT. Upon graduating from Bowdoin College in 1964, Roger returned to Naugatuck to work at Risdon. There he worked with Rilla’s sister who introduced them. Married in May 1970, Roger and Rilla grew their family in Brooklyn, CT where they resided from 1972 to present. Roger was Vice President at Moldex, Inc. in Putnam, CT where he worked for 16 years. 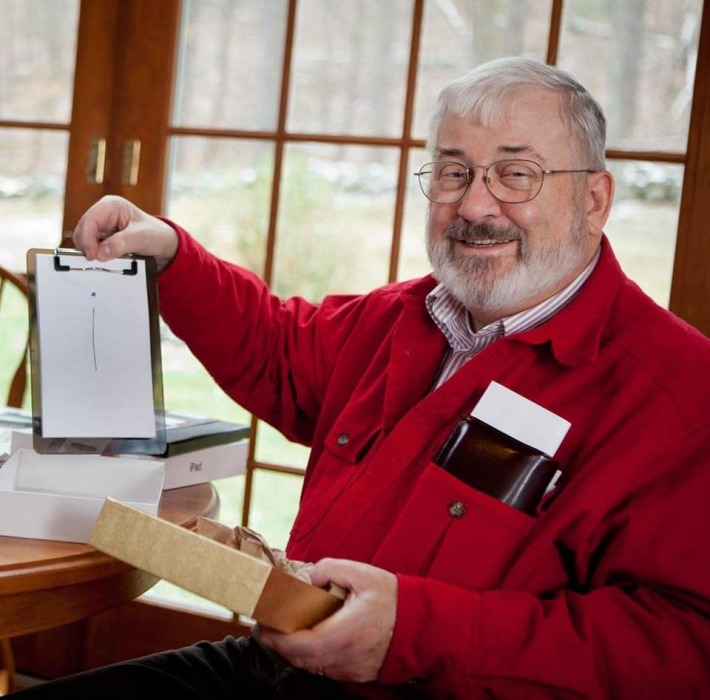 Moving from plastic gear production to designing the molds used to make the gears, Roger was employed at ABA-PGT, Inc. in Manchester, CT for 26 years and retired as Vice President in 2012. Baptized and married at Salem Lutheran Church in Naugatuck, CT, Roger was a lifelong Lutheran, teaching confirmation for several years before marrying and moving to Brooklyn, CT where he and Rilla were active members at St. John Lutheran Church for over 40 years. Belief in a God who unconditionally loves the world is the foundation of how Roger raised his family and engaged life. Roger and his wife Rilla centered their life on family: raising four children and creating every opportunity for extended family and friends to be together for holidays, vacations, special occasions, visits from Swedish relatives, or simply gathering for cocktails and a meal. Many of these gatherings have been enjoyed at their home in Eastham, MA where time at the beach filled the days and dinners included instruction on how to prepare and eat Lobster and steamers. Life and love are abundant at the table among family, friends, and guests when Roger and Rilla host. Including his wife, Roger is survived by his daughter Beth Anderson of Ridgefield, CT; daughter Kirsten Borland (children Alex and Lars) of Gurnee, IL; son Eric and daughter-in-law Kari Anderson (children Clara and Caden) of Westford, MA; daughter Rebecca and son-in-law John Walker of Sebastian, FL; sister- in-law Sally (Bill) Ploski; sister-in-law Carol (Don) Schoeck; four nieces and nephews and their families; cousin Linwood Parsons of Naugatuck, CT; and extended family throughout the U.S. and Sweden. A Funeral service will be at St. Paul Lutheran Church, 56 Great Hammock Road, Old Saybrook, CT 06475 at 11:00 am, Wednesday, January 16, 2019. Rev. Geoff Sinibaldo will officiate and Rev. William Carter will preach. Private burial will occur later. In lieu of flowers or donations to a specific charity, the family asks that intentional quality time and attention be spent with the loved ones in your life.